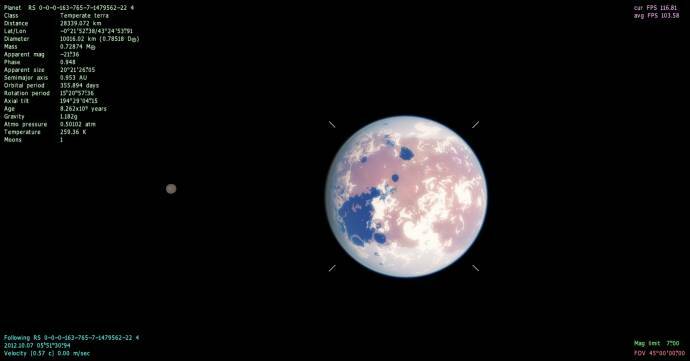 Visually, I liked this planet because of it's color and ice caps. As an Earth twin, though, not exactly the best. But it's habitable. But this one here is nearly perfect. 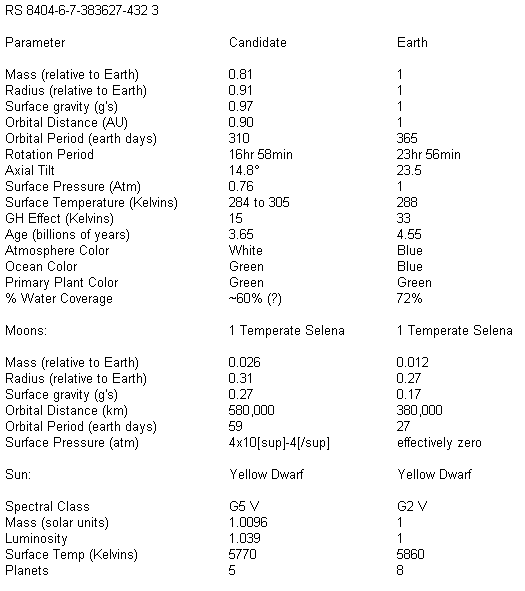 It has nearly the exact same time for a year, an acceptable rotation period, the same temperature, and although it has half the atmospheric pressure, it has slightly more G's to compensate (if that's considered compensation) and a moon nearly identical visually and G-for wise to Earth's moon, although it's a much closer and faster orbit. Habitable at an average of 154 degrees (can someone tell me how to do the degrees symbol?) Fahrenheight? I'd say barely, and not without technology (or genetic adaptations) to deal with the heat (and not just ACs, lol). We could live at the poles. Remember, it's an average. Pretty location, and I'd say that would be a good candidate if the pressure and axial tilt were not so extreme. :/ Keep searching though! edit: Oooooh, I think I just found a pretty good match, though it is in the Large Magellanic Cloud. Also unfortunate are the colors of the atmosphere and ocean, but aside from that it is quite similar to Earth in a large number of ways. It even has a single Moon-like moon, and orbits a sun-like star! Watsisname, I love this system, nice find! 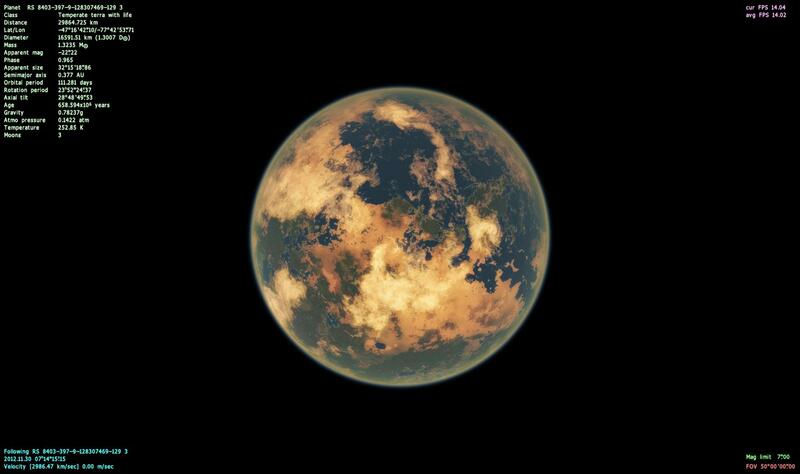 It has second terra with life - a moon of next desert planet. And it has rings! hey - ok, i like this one, because the atmo. pressure is very important in my opinion. the length of the day (21h) looks fine to me also - and i like the thought that our weight would be reduced by 27%. does anyone know the long term effects of this on the human body? EDIT: oh, i thougt the greenhouse effect is added to the planets temp.- but it isnt, so its too cold then !? and i like the thought that our weight would be reduced by 27%. does anyone know the long term effects of this on the human body? Should be merely the same as Pandora's effects on the human body. oh, i thougt the greenhouse effect is added to the planets temp.- but it isnt, so its too cold then !? Hmm, that's an average surface temperature of about 9°F, compared to Earth's 59°F. 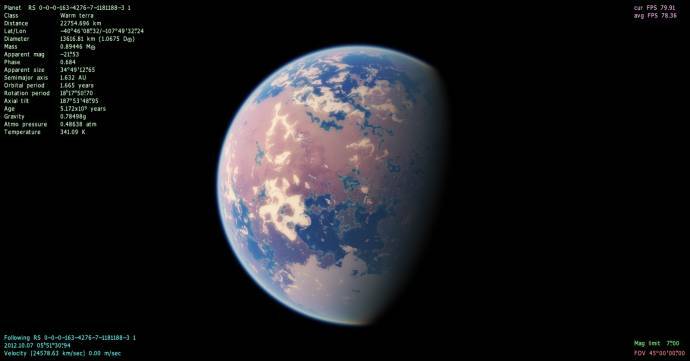 A bit on the cold side, yes, and I imagine a real planet like that would have a lot more ice on it, like a snowball earth. 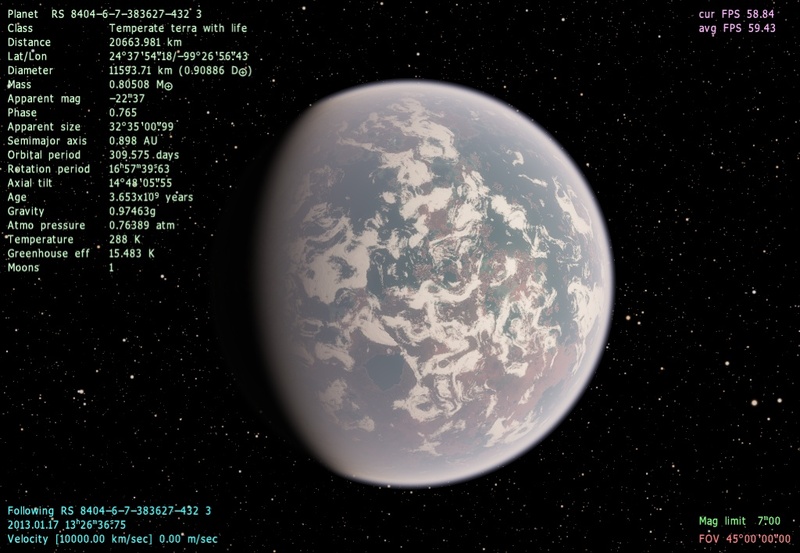 Still, it might be habitable around the equatorial regions. Found a good one. (I wonder, if this planet exists in 0.96, because I found it in my working version.) 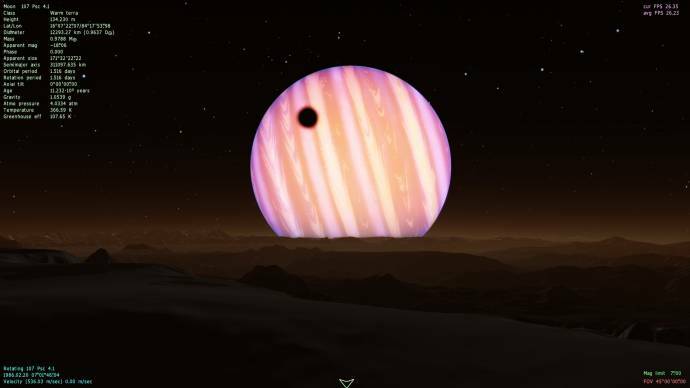 It is a huge moon of a gas giant, fourth planet of a well-known nearby sun-like star 107 Piscium. It is just 24 light-years away from Earth. 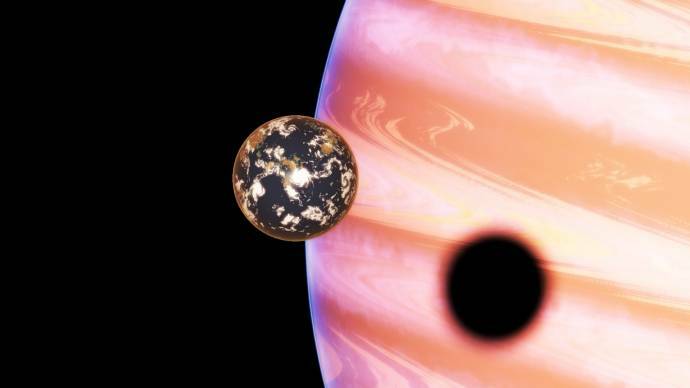 The moon is a warm terra almost the same size (96%) and mass (98%) as Earth, with a 5% higher surface gravity. Even its day length is tolerant to humans - 1.5 days. But it has a too dense atmosphere (4 atm) that creates a huge greenhouse effect, almost 100°C, making the moon too warm (average temperature is 93°C). 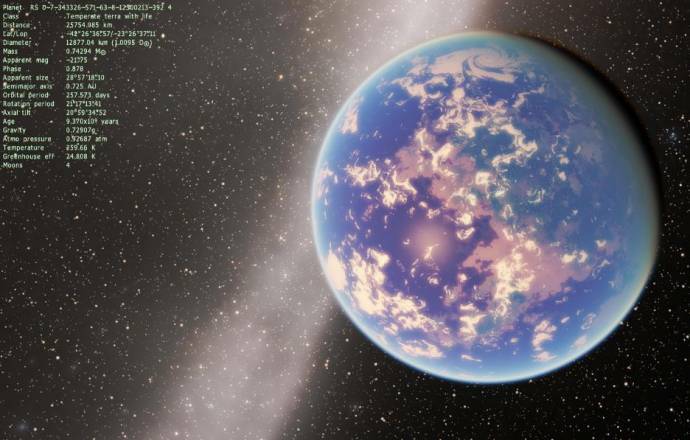 However, terra-forming is still needed, because it has no life, and it may be quite easy just changing the atmosphere, reducing its density and changing its chemical composition. Actually, 4 atmospheres would be survivable. 10 atmospheres would be equivalent to 100 meters underwater, right? Also, a side question, in the build you're using, have you seen a decrease in rocky worlds with exreme pressure atmospheres? Edit: I took a look at 107 Piscium and while the same gas giant is there, the moons are completely different. Although you may want to live in a dome, it's rotation rate is almost exactly like earth's, and it's beautiful.